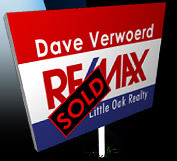 After a successful career in business and retail, I became a full time realtor in early 1991. I wanted to best utilize my customer service, accounting and marketing skills, and real estate gave me a prime opportunity to do so. Since then I have given worry and hassle-free service to hundreds of families and individuals as they buy and sell properties in Abbotsford and throughout the Fraser Valley. I was born and raised in B.C., spending most of my formative years in Maple Ridge; however, I've called Abbotsford home since 1985. My life is centered around my active real estate business, wife and three young daughters and regular involvement in my church. I love the life I've been given and consider it a privilege to meet the needs of my clients. I strive to make your experience a memorable one. Danielle is the cheerful person you'll connect with when Dave is out of the office. She assists with client care, communications and marketing. Danielle handles the administrative aspects of Dave's real estate business, from coordinating showings to ensuring closing and completion details come together.